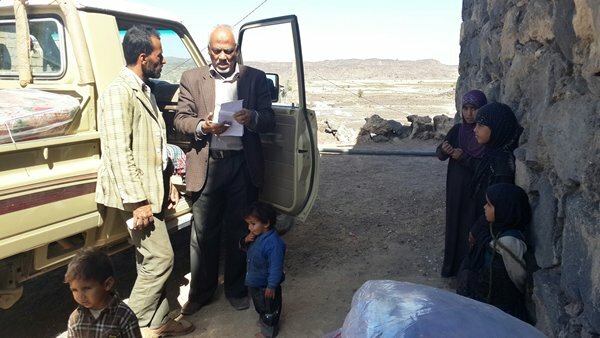 MSF’s newly formed Yemen Emergency Pool (YEP) has conducted a visit to Al Bayda governorate, to provide medical consultations as well as non-food items to IDPs fleeing the recent conflict which has been affecting the area for months. Having previously donated dressing kits to health units in the governorate, MSF’s YEP team visited Al-Bayda in late November providing support to medical staff as well as more dressing materials. The team conducted medical activities notably in Al-Quraishia and Wild Rabea districts to provide first aid for injured people and medical consultations for IDPs who had mainly fled their villages to the mountains, before seeking refuge in other villages in the district. The displaced populations have been supported by local communities, and MSF was able to provide some additional assistance. MSF was, however, unable to reach some health units like Al-Khobza health unit that MSF initially supported and which is now not functioning due to the fighting. Medical staff there had to flee due to the violence, leaving no functional health unit in the area. Access to health for the population has become almost impossible in recent weeks, and people are afraid to move to health units or hospitals. “We supported around 100 IDPs with non-food items – matresses, blankets, hygiene items, jerry cans and kitchen items – and an MSF doctor provided general medical consultations,” said Moeen Mahmoud, YEP manager. MSF has been working in Yemen since 1986 and provides health activities in Sana’a, Amran, Aden and Al-Dhale’ governorates. The Yemen Emergency Pool, which started its activities in 2014, is intended to provide a quick response to emergencies in different parts of the country.